Join the geography community for snacks and announcements in Condon 108 before the talk. The SAIL Program offers a fantastic experience for local-area high school students from under-represented backgrounds to come to campus and participate in a week-long programs that are fun interactive, and engaging. This year Geography will host its first SAIL program July 23rd – 28th, which will include activities that ask students to reflect on how we understand places, a mapathon, a GPS scavenger hunt, an urban geography scavenger hunt, lessons on using online platforms to make maps, a field trip to the Willamette River to study fluvial processes, and more! 27 students have chosen to participate in the Place Matters: Geography program. These are all students from under-represented background, including first generation students and minority students, and the program is free. Several Geography majors and gradaute students are assisting in the program. We’re excited to expose high school students who may be at UO in the next couple of years to what we do, and show that that place matters and geography matters! Learn more about the program and the opportunities it provides to students (including scholarship opportunities and more!) on the UO SAIL website. 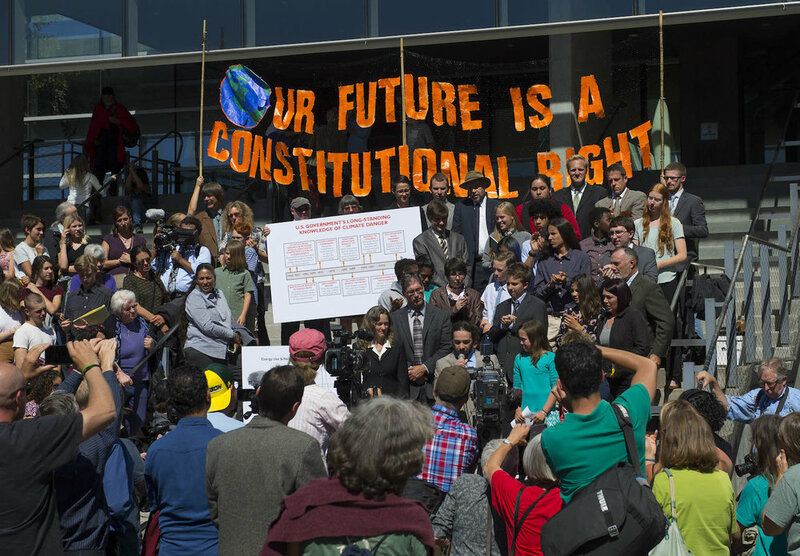 Join us for our final Tea of the year with Dr. Mary Wood, the Philip H. Knight Professor of Law and Faculty Director of the school’s Environmental and Natural Resources Law Center. Her talk is entitled: “Juliana v. United States: The public trust principle and the global climate emergency.” Her talk will focus on the current case being brought against the US government by several students in Eugene, which uses the public trust principle to assert that through the government’s affirmative actions that cause climate change, it has violated the youngest generation’s constitutional rights to life, liberty, and property, as well as failed to protect essential public trust resources. As always, please join us for snacks in Condon 108 at 3:30 prior to the talk! MapxNW is holding their second Spring Mapathon on Thursday, May 24th from 5-7pm in Knight Library 144. This event is sponsored by the Department of Geography and YouthMappers, an organization run through USAID, which hosts a platform that allows chapter members to digitize and map data for NGO projects around the world. This week’s projects will include mapping for food security, flood resilience, and humanitarian crises. The Department of Geography will also provide pizza! Anyone is welcome! You do not need any mapping skills. The MapxNW students will show you what to do! 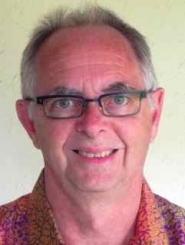 Our Tea Speaker on Thursday, May 10th will be Dr. Eric Sheppard from UCLA who will talk about his work on urban transformation in Indonesia. 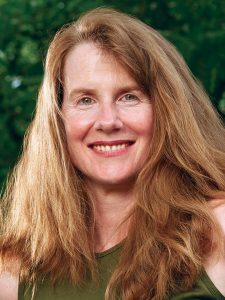 Dr. Sheppard is Humboldt Chair and Professor of Geography, with research interests in geographical political economy, uneven geographies of globalization, neoliberalism, urbanization in the global South, urban sustainability and environmental justice, and critical GIS. Please join us at 3:30pm in Condon 108 for snacks and socializing. At 4pm we will move to Condon 106 for the talk. 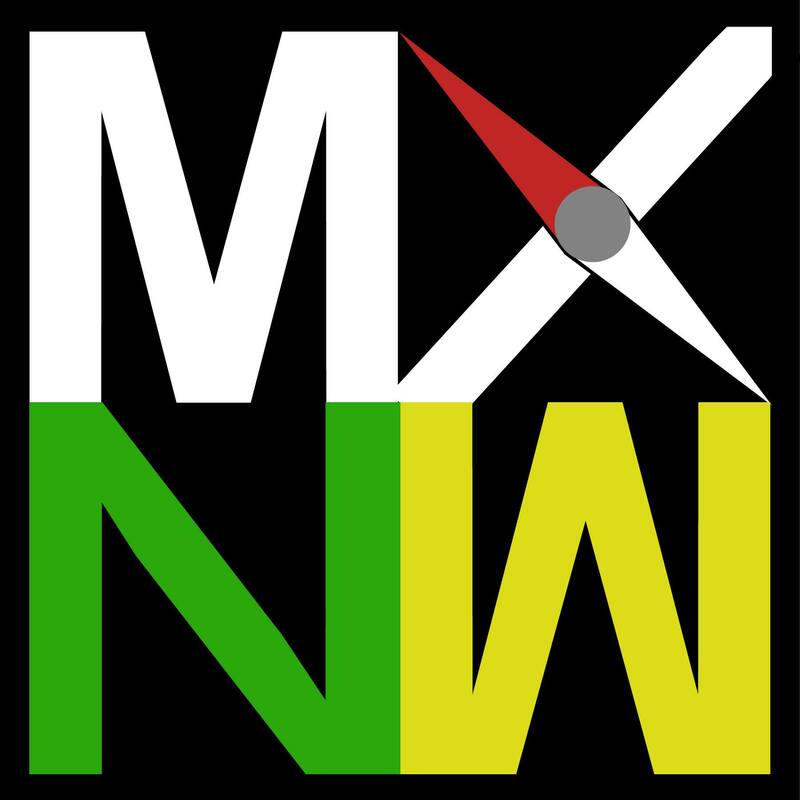 MapxNorthwest will be holding another map-a-thon on Thursday, April 19th from 5pm to 7pm in Knight Library 144. This project is mapping a refugee crisis in Uganda. Pizza will be provided! And no prior mapping experience required. 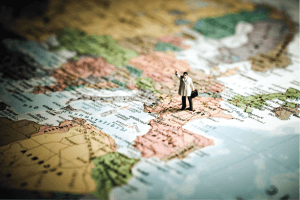 Map-a-thons are fun, relaxing, and a great way to learn more about mapping, geography, and meeting other people who want to develop skills to assist real-life and real-time crises around the world. Please join us! MapxNW is the UO chapter of Youthmappers, an organization run through the US Agency for International Development (USAID) that organizes humanitarian mapping events to aid in USAID development efforts . 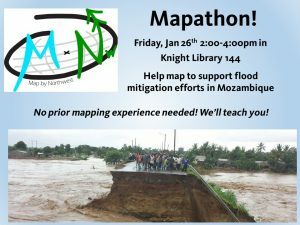 Join the newly renamed MapxNW (formerly known as Geography Club) as they do another USAID Youthmappers event to map flood infrastructure for flood mitigation efforts in Mozambique! Several MapxNWstudents will be on hand to train anyone who shows up, so no mapping experience required! Join us in Knight Library 144 anytime from 2pm – 4pm. This mapping is easy and relaxing, but to spice things up, MapxNW is designing some activities and will be giving away prizes! Please join us! 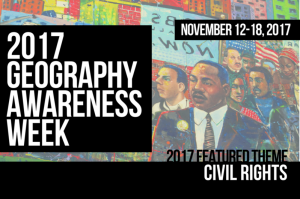 Geography Awareness Week 2018 is upon us, and the theme from National Geographic this year is Civil Rights, a timely topic, to be sure. We have a slew of events going on to celebrate all things geography. Check it out! What does civil rights at the UofO look like to you? 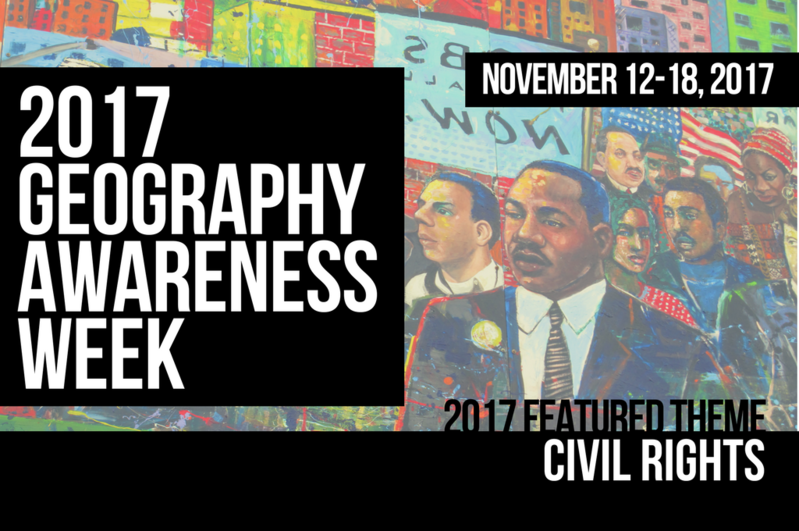 If you prefer to post anonymously, please email the photo to Leslie McLees, the geography undergraduate coordinator at lmclees@uoregon.edu with #uogaw2017 in the subject line. Your photo will remain anonymous. Winners will be announced By Wednesday, Nov 22nd. Tuesday, Nov 14th, 5pm, Knight Library Browsing Room: Dr. Imraan Buccus, a scholar and political commentator from South Africa, will be giving a talk entitled: The State of the Nation in South Africa: Lessons on the rise of populism. 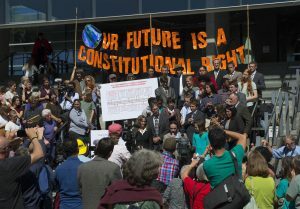 Dr. Baccus will draw connections between the backlash of populism in South Africa and the United States. This week’s Tea will be an event Geography is helping sponsor for Carnegie Global Oregon Ethics Program. 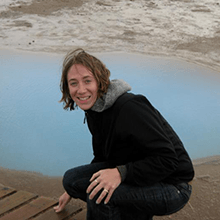 Tuesday, Nov 14th, 12pm, Condon 108 (the Tea Room), The Geography will hosting a pizza lunch with Dr Buccus and 2017 alumnus Rachel Anderson. Along with his political writing, he also organizes study abroad programs in South Africa, though which 2017 alumni Rachel Anderson studied. Rachel and Dr Buccus will be on hand to chat about whatever you like, including potential for study abroad (anywhere, not just South Africa). Thursday, Nov 16th, Geography Club will be hosting a MapTime event at 3:30 in Knight Library 144. MapTime is a national organization that seeks to being together people interested in mapping an visualization and learn some fun and innovative techniques for mapping. Joanna Merson, our new InfoGraphics researcher, will be presenting on using Google Mash-ups. Bring your laptops or use a computer in the room. You’ll learn something new! Friday, Nov 17th, YouthMappers will be hosting another Mapathon in Knight Library 144 from 2-4pm. This time, focus on on maternal and infant health in Tanzania, Zambia, and Nigeria. No mapping experience needed! Engage in some digital humanitarianism! We hope to see you at our exciting events!